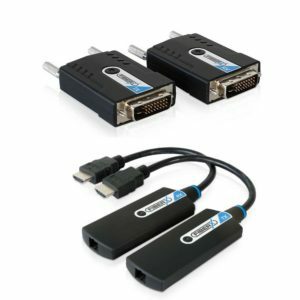 PureLink design and manufacture Pro AV transmitters, receivers and cable suitable for a wide range of Pro AV applications. Founded in 2001, PureLink is committed to developing cutting-edge audio, video, and computer signal processing solutions, constantly driven by the changing needs of the professional customer. The PureLink IPAV PRO series combines revolutionary 10GbE IP switching technology with a toughened chassis custom made for rental and staging. Reliably distribute uncompressed 4K in real time, with zero frame latency and pixel perfect image quality, in even the most demanding of conditions. PureLink has pioneered a powerful line of matrix-switching, format conversion, signal distribution, and long-distance extension systems that are optimized to support any consumer or commercial application. All of these advancements have resulted from PureLink’s unparalleled R&D and quality assurance, providing customised solutions and setting sights on creating a better user experience. The PureLink IPAV Pro series receiver combines revolutionary 10GbE IP switching technology with a toughened chassis custom built for rental and staging. 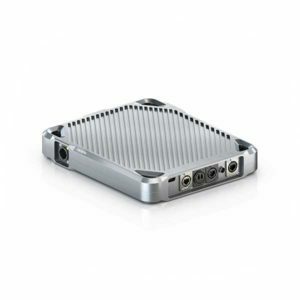 It reliably receives uncompressed 4K in real time, with zero frame latency and pixel perfect image quality in even the most demanding of conditions. The PureLink IPAV Pro series transmitter combines revolutionary 10GbE IP switching technology with a toughened chassis custom built for rental and staging. It reliably transmits uncompressed 4K in real time, with zero frame latency and pixel perfect image quality in even the most demanding of conditions. We supply a full range of PureLink Transmitters & Receivers. Please contact our Sales Team who will be happy to offer pricing and advice to find a solution that meets your requirements. 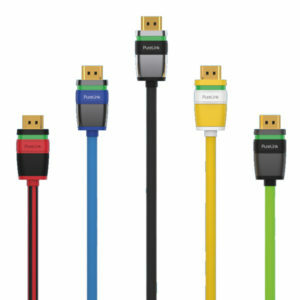 We supply a full range of PureLink Video Cables. Please contact our Sales Team who will be happy to offer pricing and advice to find a solution that meets your requirements.